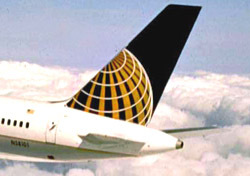 On June 12, Continental released details of its capacity cuts and staff reductions, following up on last week’s news that going forward, the airline would begin looking to decrease costs for the year. Starting in September, the airline will start reducing service at its major hubs, including Houston, Newark, Cleveland, and Guam (yes, little Guam is a hub for Continental). Of the domestic hubs, Cleveland will lose the largest percentage of flights, with 13.1 percent of service being eliminated. Houston will lose 7.9 percent, and Newark will lose 3.2 percent. Service reductions at its hubs means Continental will no longer serve several destinations that are presently accessed through its hubs. Notable among these is Oakland, California; Sarasota, Florida; and Cologne, Germany; but most of the affected cities are smaller destinations. On the staffing side, the airline will eliminate 3,000 employees through voluntary and involuntary terminations. Continental couldn’t have picked a better day to make this announcement, considering yesterday’s blockbuster news from United and US Airways. And while those carriers’ new fees probably trump Continental’s cuts in terms of shock value, they all are of fairly equal significance. As I’ve been saying for a while now, capacity cuts will likely come at the expense of second- and third-tier destinations that rely on the legacy lines’ hub-and-spoke networks for access to bigger cities and international airports. That is the case with Continental’s reductions. So while cutting service to Tallahassee or Chattanooga—as Continental did—may not seem like huge news, it will likely result in fewer options and higher fares for people there.